Four casual conversations about the business side of art over coffee and donuts at ArtFarm. A series of four 'business of art' workshops with Scott Burkholder (SBG Agency). Each workshop will consist of a half hour of socializing with donuts and coffee, meeting new artists and making connections, followed by a two hour workshop on the topic of branding and time for questions after. Each workshop will be $75 and you sign up for each one indiviually. A $40 discount will be given on the final signup if you join us for all four throughout the year. Brand: YOU are a valuable part of your art. The valuable aspect of any work of art is not just the material or even the labor to make it, it is the subject of the work. It is the feeling and the concepts of your creations that speaks to audiences in powerful ways. Your ideas and sentiment might be so powerful that it may even cause them to give you something from their wallet. This session will focus on how you explore and develop your brand, the subjective nature of your work, and share it with your audience to inspire transaction. Business is a process for building relationships. It can be cold and transactional or it can be warm and desirable. It is up to the creator of the business which way it goes. This session will show you that you are likely already in business with your art, ie building relationships, it is just a matter of organizing your process so that you and others can repeat it. We will work on a tool to help you capture your business on a single page so you can devote more time to the work you love. Personal Finance: What do you want? An important initial step to sustaining yourself is to know what you need financially. Numbers are intimidating and predicting the future is not possible. However, taking the time to understand what you need and just as important what you want financially is an early step to sustaining yourself doing what you love. Spreadsheets and accountants don’t have to be scary words, particularly if you know how to make them work for you, so you can work in the studio. Stopping to take measurements is a good idea for producing just about anything, the same is true in building a business. One of the most important, and thankfully easiest, aspects to know in business are your finances. An accounting of your past will help you plan for your future, and planning for your future will enable you to plan to do what you love. There are many cliches about time, and many are true. We will take a few moments in each session to consider what we are doing with our time and how we might use it to accomplish more of what you love. Great art is often the result of collaboration. The same is true of great business. During our sessions we will consider some of the professional relationships that might help you grow your practice. , the largest self initiated public art project in the city of Baltimore with 20 murals, $250K budget and tens of thousands of fans. He has coached over 50 artists into launching sustaining careers and he manages a small community of artists to live thriving creative practices. He is presently producing two books with intent on feature length film production. He lives in the Douglass District of Baltimore Maryland and spends lots of time reading, biking, WODing, and loving his wife Jenn. 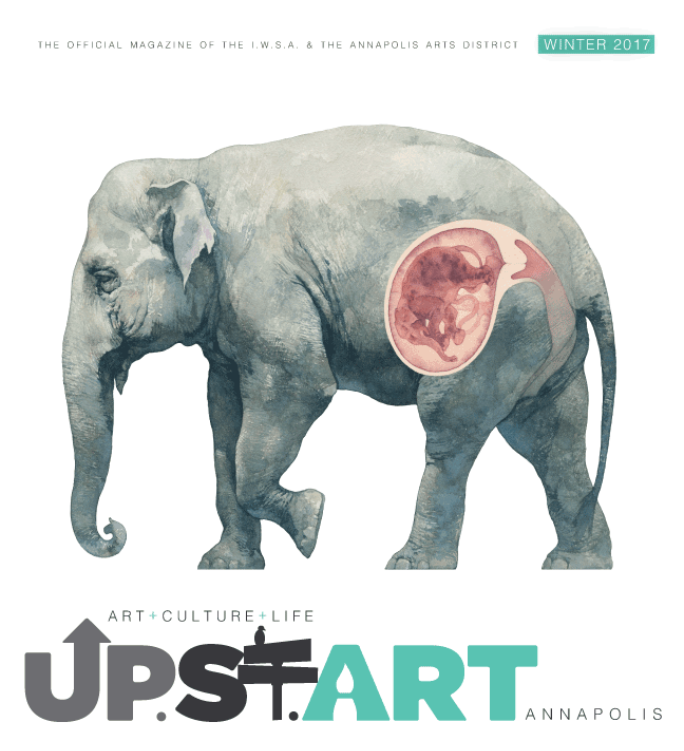 READ THE WINTER ISSUE HERE OR GRAB A HARD COPY AROUND TOWN. 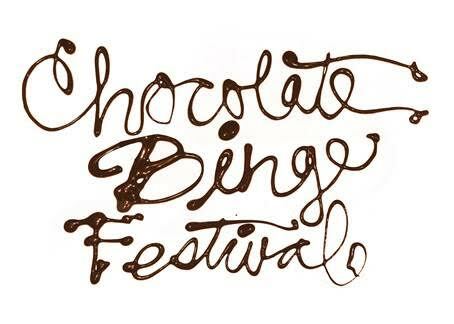 Start off the December holidays season with some fun and indulge your sweet tooth at the third annual Annapolis Chocolate Binge Festival, to benefit the Annapolis Arts District and We Care and Friends. The day is loaded with family friendly fun. There is a giant gingerbread house moon bounce for the kids, a giant snowball run where you can race your friends, you can roast marsh mellows and make smores at the fire pit in the middle of West Street with the Annapolis Fire Department, get a balloon animal, drink hot coco with the police department and visit Santa. Santa will be collecting new toys, coats and hats for the We Care and Friends Holiday Party for local kids in need. Take a chocolate tour along West Street with two dozen vendors selling various chocolate specialties , including chocolate caramels, cakes, chocolate bars, truffles, fudge, cookies, candies, hot chocolate, fondue, martinis and more. Some of the local and regional chocolatiers include Dear Coco Chocolate, Salazon Chocolate, Tuxedo Hill Chocolate, Heritage Chocolate, Moonshine Chocolate, Kilwins Chocolate, Cakes by Rachael, Otterbein Bakery, Annapolis Caramel Company, CoCo Couture, Happy Chicken Bakery, Foxtrot Chocolates, Sweet Heats Patisserie, Moondance Cookies, Parfections Chocolates, Sweet Piggy, Harper Macaw and more. You can also complete your holiday shopping at the holiday market at the Annapolis Chocolate Binge Festival featuring dozens of local craftspeople with a wide range of handmade items including jewelry, pottery, candles wood turnings, glass ornaments and more. Plus visit the galleries and shops in the Annapolis Arts District and ithroughout Annapolis for other unique gifts. Admission is just a $5 suggested donation for adults (kids are free with parents). While supplies last, everyone making a donation will get a complimentary Hot chocolate from the PoPo at the air stream camper. Plenty of easy parking is nearby on at Whitmore Parking Garage, Gotts Court Parking Garage, Knighton Parking Garage and the State Parking Garage. Plus the free Circulator bus will bring you right to the festival. The Annapolis Chocolate Binge Festival is brought to you by the Inner West street Association and managed by Evans Management LLC. They also bring you the First Sunday Arts Festivals, Annapolis Fringe Festival, Dinner Under the Stars and manage the Annapolis Arts District. From the City of Annapolis: Mayor Michael Pantelides announces that he is targeting West Street as part of his ongoing Pedestrian Safety Campaign, focusing on both motorists and pedestrians, reminding them to look up and look out for each other. "A number of residents have recently contacted me about the pedestrian danger at the West Street crosswalk near the Asbury United Methodist Church," Mayor Pantelides said. "I have directed Public Works to ensure that crosswalk signal remains in working condition and to put up additional signage to alert walkers and drivers to the pedestrian crosswalk at that location on West Street." Mayor Pantelides is also working with Police Chief Baker to increase enforcement along West Street in an effort to make both drivers and pedestrians aware of the current laws that pertain to crosswalks. Additional officers will be deployed to the area and will be monitoring compliance of the laws. "We are happy to assist Mayor Pantelides and the city to improve the pedestrian experience in downtown Annapolis through improved signage, education, maintenance and enforcement," said Erik Evans, Executive Director of the Annapolis Arts District, Inner West Street Association and Downtown Annapolis Partnership. "We have a wonderful city that is best enjoyed when taking a stroll. Anything we can do to make our city better for our residents, employees and guests is welcomed and encouraged." It is important that both motorists and pedestrians take equal responsibility for safety on Annapolis streets. During the years of 2013 through 2015, Annapolis reported 114 pedestrian-related crashes, which included pedestrians, bicyclists, and mopeds, with 28 crashes occurring in a marked crosswalk. ANNAPOLIS, MD - The Annapolis Symphony Orchestra (ASO) is pleased to announce its upcoming Pops in the Park concert. This free Labor Day Weekend concert will take place at Quiet Waters Park in Annapolis on Sunday, September 3 at 5:30 PM. The rain date is Monday September 4, same time, same place. Set in the lovely outdoor theater at Quiet Waters Park, the annual Pops in the Park concert features the ASO’s full orchestra performing a fun and festive program for all ages. Popular well-loved pieces such as Tchaikovsky’s 1812 Overture, and Dvořák’s Slavonic Dance No. 3 will share the stage with music from the Broadway show West Side Story, music from the movie Star Wars which is celebrating its 40th anniversary, and many others. The Annapolis Symphony Orchestra is led by renowned Music Director José-Luis Novo who is beginning his thirteenth season with the orchestra, the longest tenure of any Annapolis Symphony Orchestra Music Director. The Pops in the Park is generously supported by Coldwell Banker Residential Brokerage. This support enables the ASO to offer this concert at no charge to the community. Funding for the Annapolis Symphony Orchestra is generously provided by Elizabeth Richebourg Rea, ezStorage, the Maryland State Arts Council, Arts Council of Anne Arundel County, and Friends of the Annapolis Symphony Orchestra. This year’s major concert sponsor is Coldwell Banker Residential Brokerage. In addition to banding together to provide generous funding for this concert, the agents of Coldwell Banker Residential Brokerage in Anne Arundel County are spearheading the Annapolis Symphony’s Play It Forward program, collecting used instruments to be refurbished and loaned to students of Anne Arundel County Public Schools who cannot otherwise afford them. Instruments are being collected at the four Coldwell Banker Residential Brokerage offices in the county (Church Circle, Annapolis Plaza, Crofton, and Severna Park), but everyone who attends Pops in the Park is encouraged to bring an instrument to the concert itself. The Symphony is accepting instruments in any condition. AACPS will triage, repair, and distribute the instruments to qualifying students. This special concert draws 3,000-4,000 people each year, and plays an important part in the ASO’s mission toproduce, present and promote memorable symphonic music that increases awareness, enjoyment, and appreciation of music for all ages throughout the region. The Pops in the Park concert is a casual outdoor event that brings the whole community together for a fun and relaxing evening of professional musical entertainment. As the leading cultural arts organization in the area, the Annapolis Symphony Orchestra is thrilled to be able to offer this exciting performance to everyone and to do so at no charge. There is free admission to Quiet Waters Park for the concert. Concessions from Caliente Grill and Kona Ice are available at the concert, and visitors may also bring a picnic meal/snacks, blankets and lawn chairs. Alcohol is prohibited. For more information about this concert or other concerts, visit the ASO website atwww.annapolissymphony.org or call the ASO Box Office at 410-263-0907. Following the critically-acclaimed Richard III, the Annapolis Shakespeare Company returns with Alice and the Book of Wonderland, a World Premiere adaptation of Lewis Carroll’s Alice’s Adventures in Wonderland. A compelling new version of a beloved classic, Alice and the Book of Wonderland is a bright and witty adaptation by Sally Boyett and Donald Hicken. Annapolis Shakespeare Company’s retelling reveals a fast-paced tale designed to delight young and old in an exciting new version of Lewis Carroll’s Alice’s Adventures in Wonderland in which an inquisitive young woman named Alice is drawn into a fantastical world where logic is illogical and the absurd makes sense. Through a series of dramatic vignettes creatively linked together by Annapolis Shakespeare Company’s new adaptation, Alice makes her way through the fantastical terrain of Wonderland: a place where her experiences become curiouser and curiouser. Annapolis Shakespeare Company’s Alice and the Book of Wonderland will be set in the Victorian world of Oxford and employs a dynamic union of contemporary technology and theatrical magic. Rob Reiner & Jeffrey Donovan will be attending the opening night screening of LBJ at the 2017 Annapolis Film Festival. Learn more about the kick off event to one of Annapolis's best weekends! Pick up a copy in print at locations including FinArt, the Visitors Center, Art Things, Metropolitan, 49 West, ArtFarm, + more.